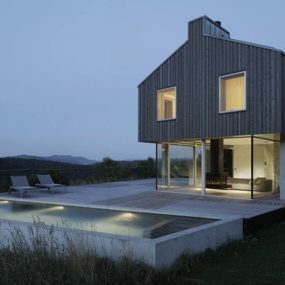 Sometimes you just aren’t given a very large amount of square footage to decorate with – let alone live in. 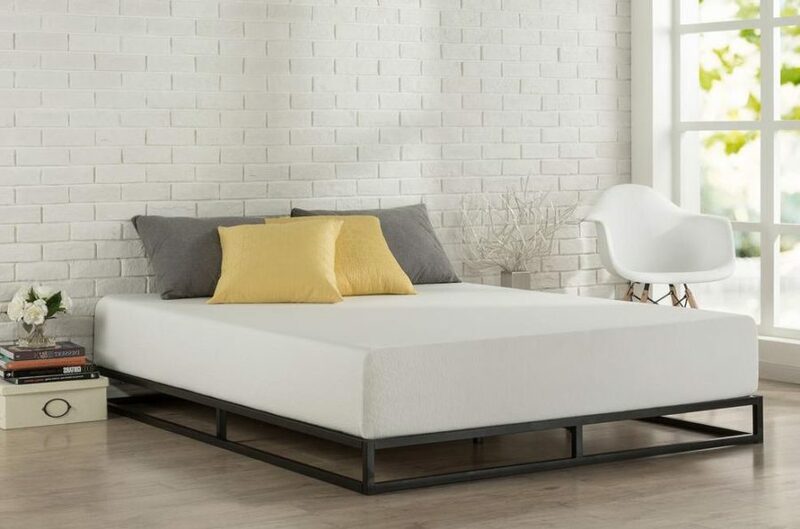 So, whether you’re renting out a tiny apartment in the big city or you’re trying to turn that extra, small room inside your home into a space where you’re guests can rest – we’ve got your covered. 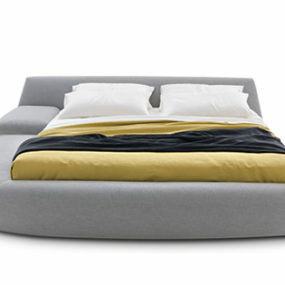 We’ve found 15 small beds fit for whatever space you’re working with. 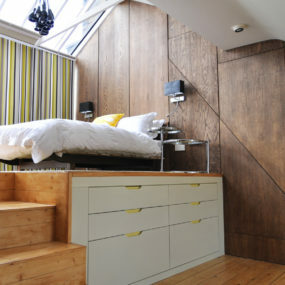 So, whether you prefer a smaller design or it’s a necessity for the nook you’ve got – take a peek! 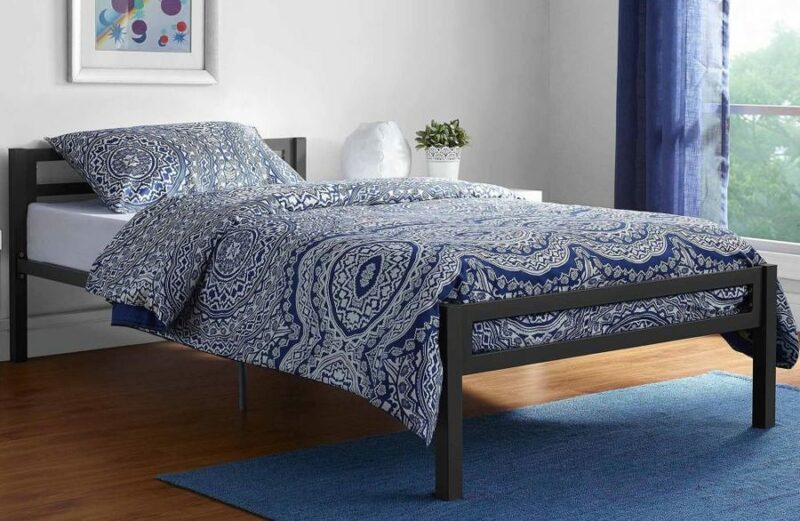 Walmart begins our small bed journey with this chic, metal twin bed. Whether you need something for your new college apartment or you want something chicer for your bedroom, this piece will do the trick. It’ll be easy to layer up and personalize as well. Here’s an upholstered piece – with a tufted headboard – that still won’t take up too much space while leaving a bold mark on your room. We found this gorgeous design over at Target. And it works for both men and women depending on how you want to style it! 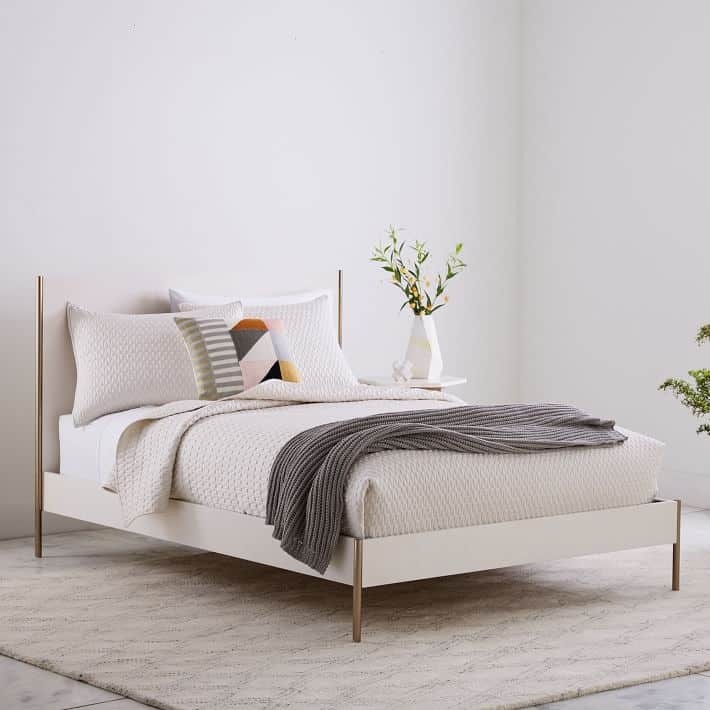 We’re really big fans of West Elm and their timeless furniture designs. And that goes double for this “Ryan” bed. We love the creamy foundation and the golden hardware finish. It’s still small and quaint though so it won’t take up too much space in areas without too much square footage to work with. If you’re looking for a small bed, check out Ikea first. 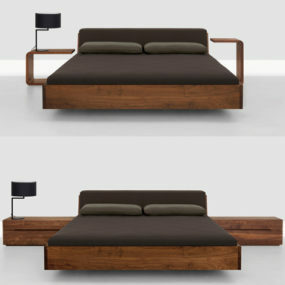 These daybeds are not only affordable but they’re versatile for all kinds of homes and rooms as well. And there’s two drawers underneath for extra storage! 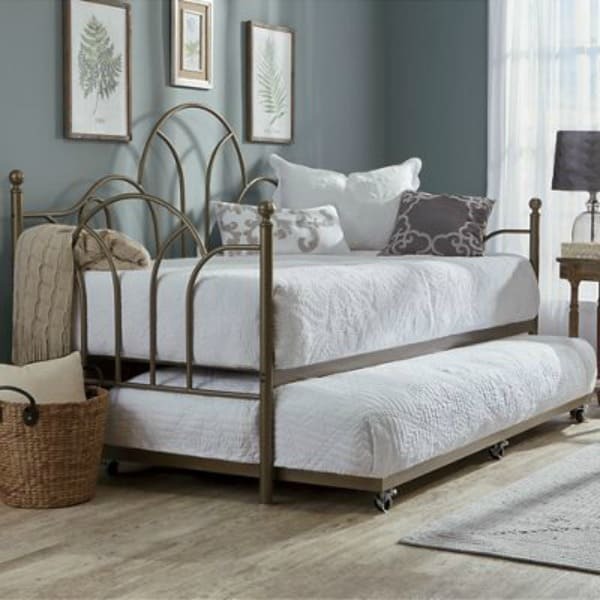 We’re really loving this metal, cream bed frame we spotted at Pottery Barn. It can be dressed up, down, girlish, or even more hipster with this piece. The “Coleman” also comes in a bronze finish for a more Victorian feel. UO has some of our favorite home finds as well. 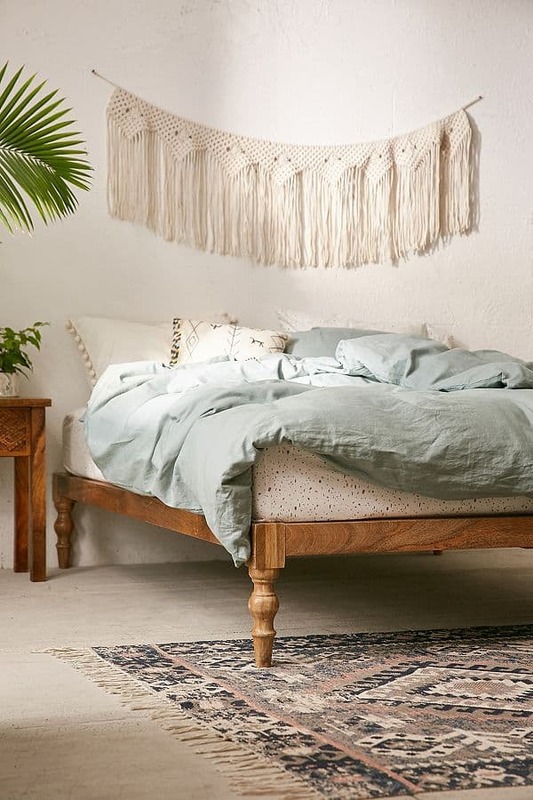 This bohemian-styled platform bed is such a gorgeous addition to any bedroom. 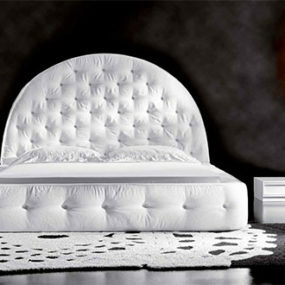 And it won’t take up too much space either while still being super versatile and easy to personalize with bedding. 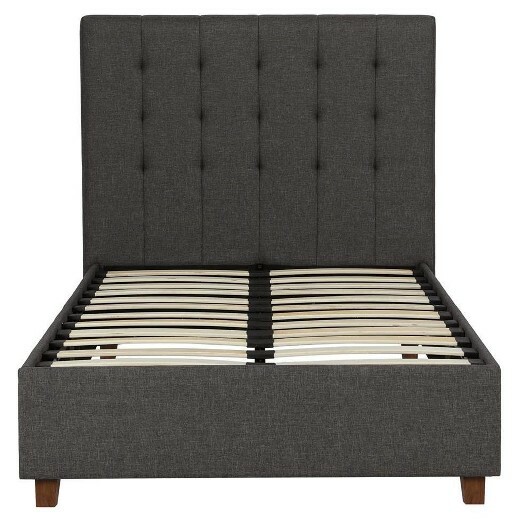 Here’s another upholstered bed – which includes a headboard – that doesn’t take up too much square footage inside the home. It’s blushing in pink and has a definitely girlish charm about it. Check out the purchase details over at Joss and Main. 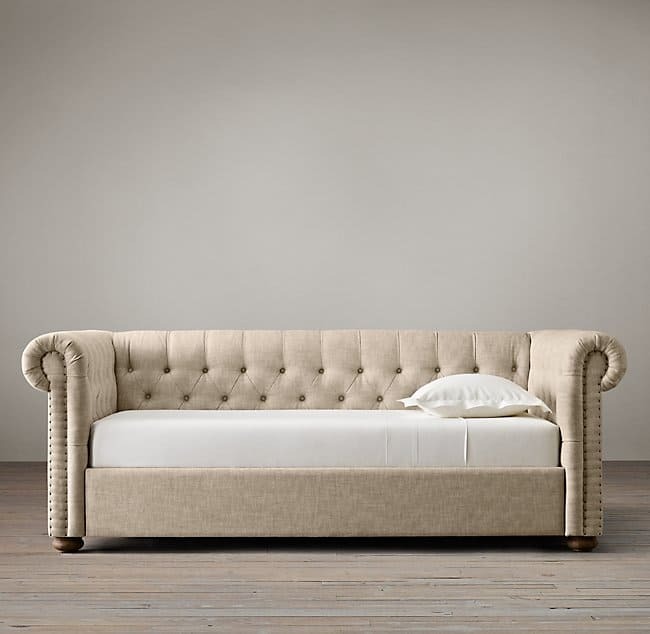 It may look like a sofa at first glance, but it’s actually a daybed that will work wonders inside of your studio apartment. When you don’t have a lot of space to work with, you have to get creative. And that’s where this gorgeous piece will come in handy. Visit RH to learn more about it! Land of Nod may be for the kiddos but they have a lot of pieces that can work for older customers as well, especially if you’re looking small. 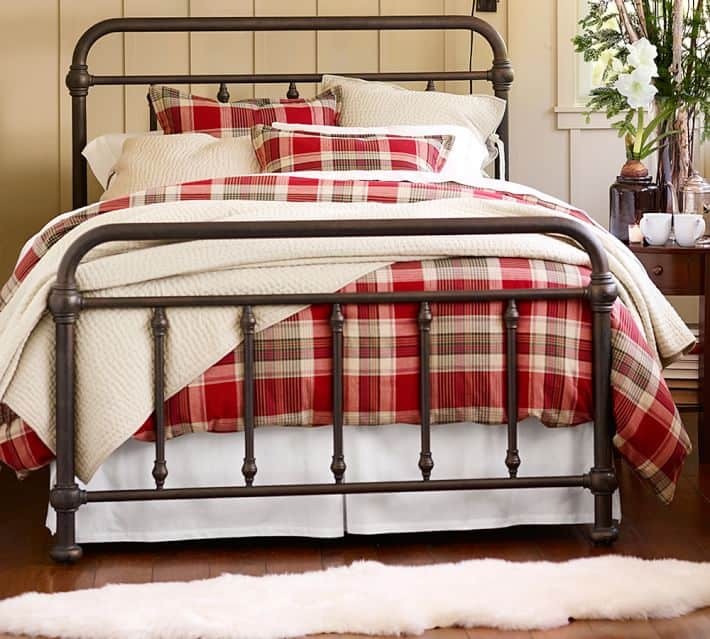 The “Wrightwood River” bed is a great pick for those looking for farmhouse or industrial feels. Or, if you just want something with a chicer, more masculine quality, it works! PB Teen has a lot of great finds as well – and not just for the teens of the house. The “Elsie” bed can be played in a lot of different ways. From girlish and French0inspired or more modern with a bout of black bedding, you’ll have fun styling it. Check outBirch Lane for some ideas as well. It’s chic and upholstered and even though it’s a bit bolder because it has a headboard intact – it won’t take over your small room. Instead, it’ll just creative a cozier, more welcomed feeling. 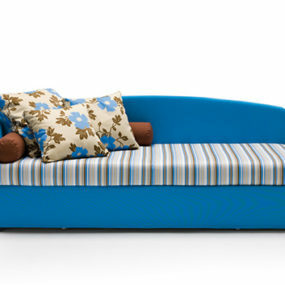 If you’re into the whole “daybed” theme, then you’ll definitely want to check out this piece from Macy’s. 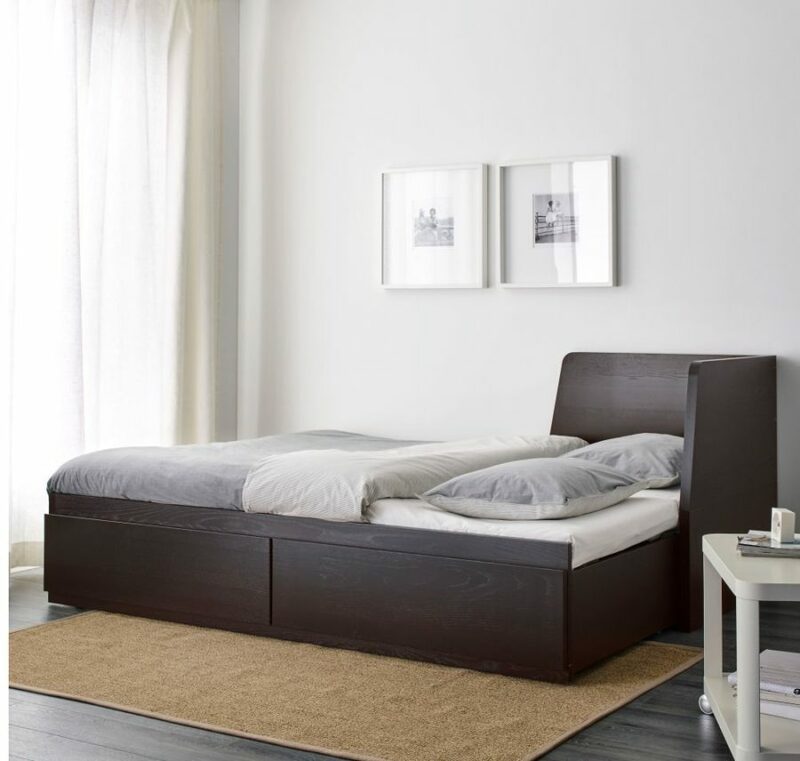 Really great for a small guest bedroom, it also includes a trundle roll-out bed underneath for when you have more than one bud visiting you! 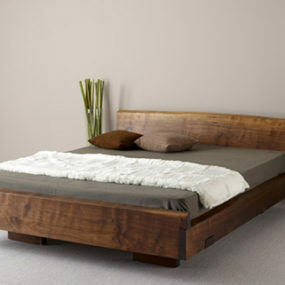 This “Olivet” panel bed is a beauty as well. You can use this one for our older or younger of gals. Make it a more princess look or something chicer, it’s up to you. Check out the details behind it over at Ashley. 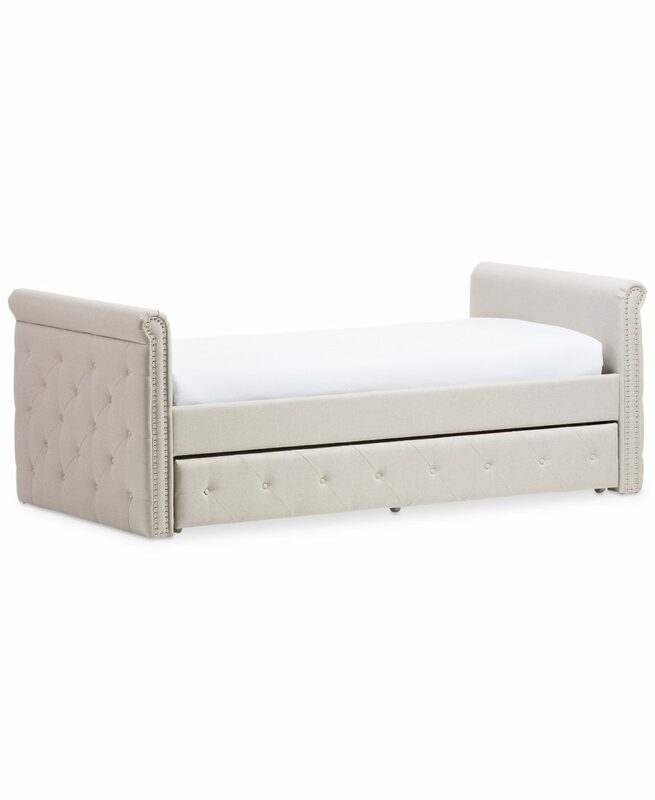 This one has a trundle too! With a metal frame and delicate, subtle lines, you can make this into a more feminine or industrial feel just with it’s outside styling. We found this beauty at Seventh Avenue, so visit for more information! 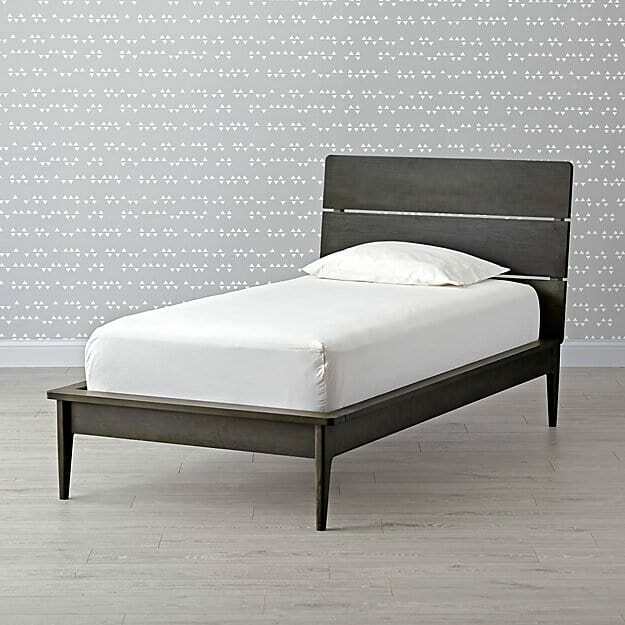 Target finishes us off with this sleek, metal platform bed. Just imagine all of the possibilities behind this one! 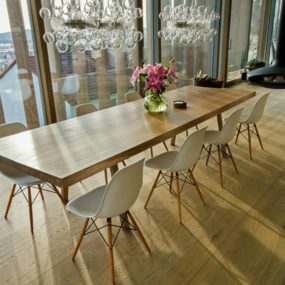 And all of the different spaces that it will fit effortlessly into – one of the most versatile designs of the bunch.